When I was young, I prayed for patience. When I was older, I prayed that I would have to stop waiting for things to happen! As I grew older, I learned firsthand that if you wait for contentment it will never come. In searching for that time of peace and satisfaction, I definitely learned patience, but it certainly was a struggle. When my situation in central Illinois was deteriorating rapidly, I found myself spending more time at Panera than in the church office. Even now I tend to do a lot of work offsite, but back then I was going places to avoid the office completely, not to interact with people in the community. I was unquestionably not content and not happy with my circumstances. My name had been on a call list for a few years already. I had interviewed at what seemed to be probably forty times. I made the short list at many places and had even visited a few, but had not received any offers. 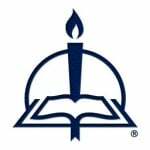 A reality was sinking in that I might have to stay in central Illinois, drop out of the ministry, and do something different with my life. But God had different plans! Finally, I received job offer to a central Indiana location. This was not very exciting. If there is anything more boring than the landscape in central Illinois, it’s the landscape in central Indiana! Regardless of the surroundings, I had finally received a call! In college they teach you never to run away from your current call—but my feet were already moving; my decision had been made! That is . . . until I received the paperwork. Again, they teach you in college not to base decisions on reasons such as finances and location but rather on the job description and the Holy Spirit’s influence. However, the salary and insurance package equaled about a $10,000 reduction in pay. Andie and I had been married just a few months, and we had plenty of debt hanging over our heads. A major cut in my salary and a few months with no income from Andie would have been deadly for us. I struggled. Everything about this job offer was a life-saver: the timing, the position itself, the proximity to our families, and the possibility of actually doing ministry again all made me want to say yes! But the uncertainties weighed heavily on my mind. Where would Andie get a job? How could we cut back on spending? Could we actually make ends meet on such a small amount of money? What if the dynamics of this call ended up being the same as the one I was already in? I was torn. My mind raced. I could not sleep. I could not work. The joy and excitement of potential escape was tremendous, but reality was overwhelming. I remember everything about the moment I discovered the definition of contentment. I was at a car dealership waiting on an oil change and reading a book about contentment. I had made a pros and cons list, done SWOT analysis, and prayed unceasingly. The problem was I wanted so badly to leave that I did not even consider the alternative of staying. Sitting at a table with three other people, I broke down in tears. They were tears of sorrow but also of relief. What if I stayed? The decision was clear. This was not the right time for my exodus. I would stay. A sense of peace flowed through me. A sorrowful calm enveloped me. I would be content in my current situation. Contentment is a decision. It is a choice to be satisfied and at peace regardless of the circumstances. In his letter to the Philippians, Paul writes that he has endured many different situations and has learned the secret of being content, “I can do all things through Him who strengthens me” (Philippians 4:13). It is not easy to be content. It requires a conscious effort to go beyond your own desires, to dialogue with God, and to finally accept the challenges of life. Trusting God goes a long way in being content. When I finally gave the decision to God, I knew He would give me the power to continue. He would rescue me in His time. A few months later, I received the call to Michigan. During the wait, I found Psalm 37 helpful in directing my trust to God. God is faithful. He loves you and cares for you. Let Him strengthen you to make a decision of contentment. So many factors influence job-related decisions. Church workers, like Aaron and the rest of our family, seem to have additional considerations due to what is known as a call—a system of connecting professional church workers with congregations. Entering the mix of decision-making considerations are scriptural and spiritual factors, as well as organizational policies and practices. I do not believe that jobs and vocations outside of professional church work are exempt from scriptural and spiritual factors. Paul did not write to professional church workers alone; he wrote to all the Christians living in Philippi, and he wrote for Christians in all places and careers for all times. The concept is called vocation, and it involves what God has called you to do, whether it is stockbroker, trucker, dog walker, CIO, mechanic, and so on. God created you for service (Ephesians 2:10). Whatever good things you do through your work qualify as godly service. Wow. That sentence has serious implications. First, consider the career and job options available to you. If you are blessed with choices, pray for wisdom in choosing wisely, and consider what God can do through the skills and knowledge with which He has blessed you. Second, your work must be the highest quality you have to offer. In other words, you must be “all in.” Not surprisingly, an “all in” work ethic usually leaves a favorable impression and a positive portfolio with management. When you work in the name of Jesus, you do good works that bring glory to God and bless those you serve. Third, those who work around you and who are served by you know who you are and Whose you are. This is no guarantee they will like you or help you climb the ladder to success. But they will know that you are a disciple of Christ. Oh . . . about contentment. As Aaron intimated, it can be hard to obtain. You need to trust this: “I can do all things through Him who strengthens me” (Philippians 4:13)—one of the most misunderstood Bible passages. This is neither a promise that you will achieve total success nor some kind of resigned “it is what it is” contentment. It is a promise that God will strengthen you to deal with all things life throws at you. God bless you in all that He calls you to do. From Living Life, Living Faith, pages 88–91. Copyright © 2016 Aaron Grube and Edward Grube. Published by Concordia Publishing House. All rights reserved. 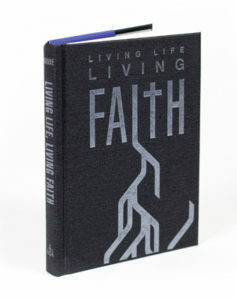 To order Living Life, Living Faith, please contact CPH at 800-325-3040 or visit www.cph.org.